Commercial Product & Beauty Photography with Renae Ayris. 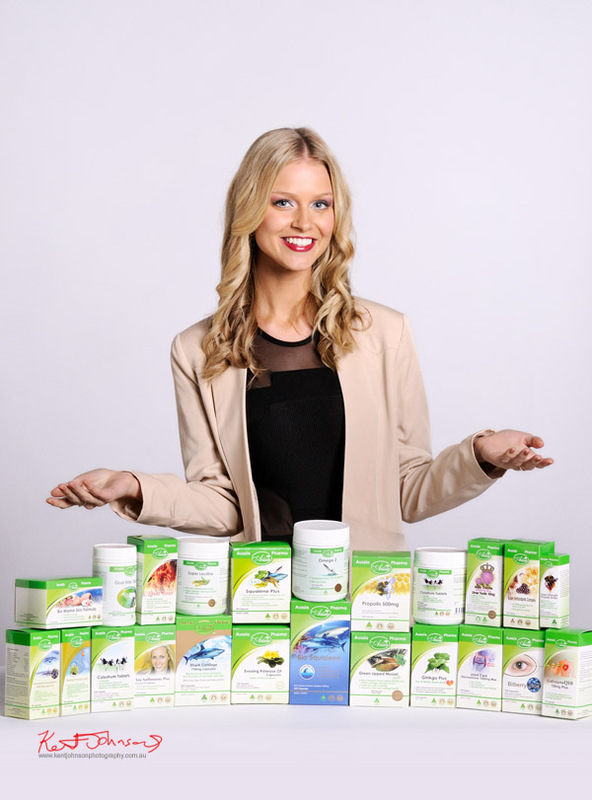 A little while ago I had the pleasure of photographing Miss Universe Australia 2012 Renae Ayris for the Australian/Chinese health and beauty supplements company Aussia. The shoot was based around the very lovely Renae presenting a variety of the products in her hands or on a white table just in front. This was essentially a blending of a product shoot with beauty photography, keeping everything cleanly and evenly lit to promote Renae's natural beauty and the products as well. We did about a dozen or so shots all up and Renae was fantastic at striking the right attitude and keeping the packs at just the right angle to minimise unwanted glare on the packaging. Not an easy task to maintain shot after shot after shot with a team of about ten looking on and videoing everything going on. And this was a very nice photography assignment for me; I often hear from clients who have seen my fashion photography work that they would like to shoot with me "but we don't really do anything creative". Well not that we don't think that this shoot is not creative as well but.. I do think that this more naturalistic approach to shooting would probably appeal to quite a few clients. So if this is the sort of shoot you have in mind, by all means send me an email or give me a call.